SEA COWS BAY, Tortola, VI - Mr Julian Willock, a former Permanent Secretary and Businessman, had his first public address since last year December, when he told residents and his supporters that he has suspended his campaign and will not be a Candidate in the 2019 General Elections in the Virgin Islands (VI). Mr Willock was at the time speaking at the launch of the Virgin Islands Party (VIP) Candidate Ms Arlene L. Smith-Thompson when he announced to an excited crowd in Sea Cows Bay on Saturday, February 2, 2019, that he “is still a VIP supporter and member,” and that the Caribbean is excited to see Hon Andrew A. Fahie (R1) becoming premier. “I have not left the VIP because I lost an internal election,” he told those gathered at the rally. 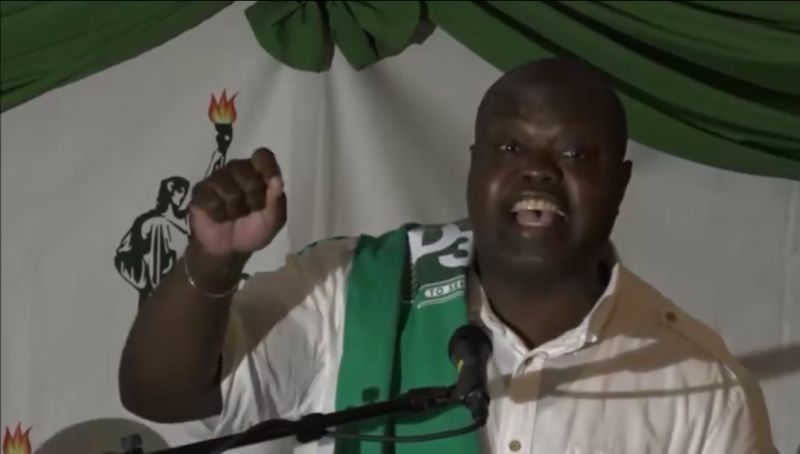 Mr Willock had previously failed to make the VIP’s At-Large slate in a December 1, 2018, internal elections. 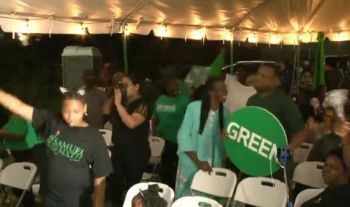 He further said that as a VIP member he “supports and endorsed Dr Arlene Smith Thompson in district 3,” and told the energetic crowd of over a 150 persons that “it makes no sense to elect her opponent to sit in the Opposition for another 4 years, knowing how the National Democratic Party 1 (NDP1) has victimised and discriminated against districts 1, 3 and 2… the people of district 3 has suffered long enough” he noted. Mr Willock further spoke to a recent trip he made down the island and while in a discussion with a Prime Minister who briefed him about his shuttle diplomacy and the issues over the crisis in Venezuela and the Caribbean Community’s role. He said, “at that moment I thought on my country and who is best positioned to represent the BVI… the leaders of the Caribbean are ecstatic and excited about Hon Andrew A. Fahie becoming the next Premier because they see BVI Leaders when a VIP government is in power, as they attend OECS and CARICOM Meetings,” Mr Willock said to thunderous applause and music. Mrs Smith-Thompson faces two other opponents for the D3 seat. They are Hon Julian Fraser RA of the Progressives United (PU) and Arron F. Parillon of NDP1. 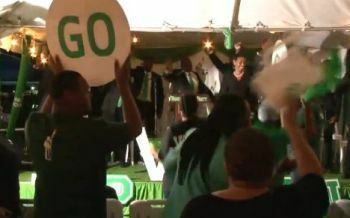 IMO Julian Willock would have been a competitive At Large candidate but the VIP delegates went in a diffrent direction. Confident JW could have been on the ticket of other parties or make an independent run but he is respecting the process and is demonstrating some uncommon loyalty. Hopefully, this uncommon locals pays dividends and bears fruit. Mr Fahie had successfully distanced himself from the Esteemed, but now he is back. He has just to distance himself from Clyde O (for OversSpend) Skelton Cline. The connection between Fahie and the Esteemed and the Overspend is worrying. He would be better without them. I wonder which Caribbean Islands he is talking about I lilve on a Caribbean Island and asked my Head of State who is my cousin and he told me He is not interested in external politics and will work with any one who is elected in any country. Yes the party is the only one with 13 but its not the correct 13. You guys not thinking to go with one party all the way. The people perish for their lack of knowledge. History will repeat itself. NDP didn't do well the last 8 years and they didn't bring a good team this time. They are hoping that Myron's popularity push them over the top. All the Caribbean wants Andrew to be Premier?? In which Caribbean, St Kitts Caribbean? Care to substantiate that statement?